Not long ago we all heard the announcement from Springfield Armory that the subcompact XD was getting a facelift. The photos came out to what was called mixed reviews but most of what I heard was negativity. 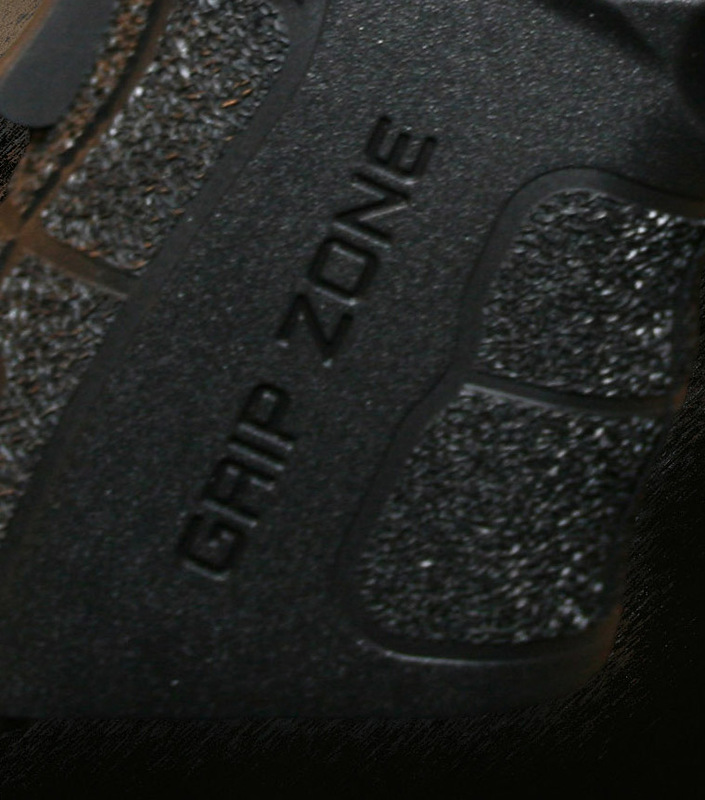 Everyone was saying how the heavy textured grip was too corny because they actually printed a raised area saying “Grip Zone”. Ok to some extent maybe people have a point on the surface. Like everyone else I didn’t appreciate much of a difference in the Mod 2 version. Maybe “Grip Zone” distracted me. But in the end I have 2 of the original XDSC 9mms in my house and I use them often in testing and it wasn’t until I got the Mod 2 in my hand that I began to really see what had been done. First, the “Grip Zone” texture feels fantastic in the hand. Having tried it I won’t make fun of the name again, that’s for sure. Now for the obvious changes, the sights. The new Mod 2 has a fiber optic front sight and the rear sight has been moved all the way to the back of the slide providing an improved sight radius for more accurate shooting. As for less obvious stuff, there’s a lot so we will cover the biggest three. The frame was slimmed down by .2 of an inch. That’s quite a big difference for a gun that was already a lightweight subcompact best seller. The thinner frame makes the grip even more comfortable, complementing the grip zone. Next there’s the trigger guard. On the original version the trigger guard was almost straight across from front to the rear where it met the grip. 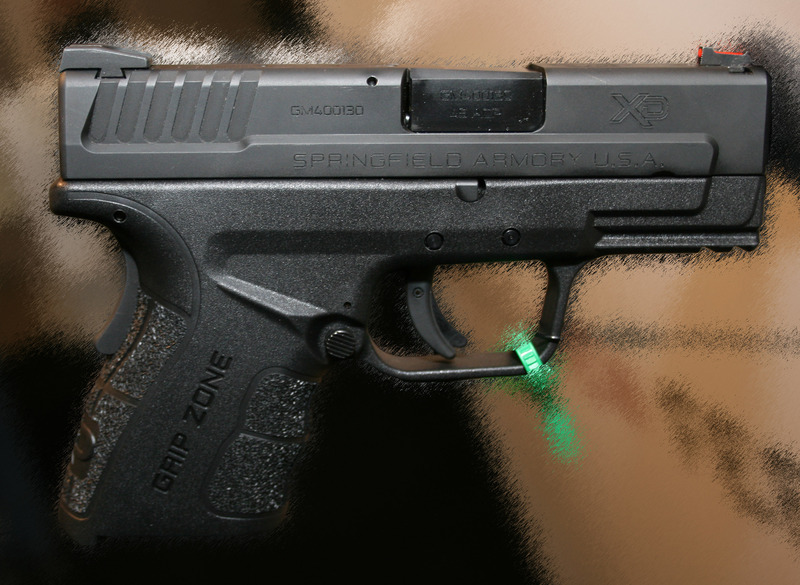 On the Mod 2, the trigger guard curves upward more as it reaches the grip. It doesn’t look like a big difference but it gives a little more room for the middle finger and that space has a domino effect that leads to more grip in your hand. Complementing the trigger guard the back of the grip sports a higher beaver tail completing the improved grip. That means more comfort and more control. 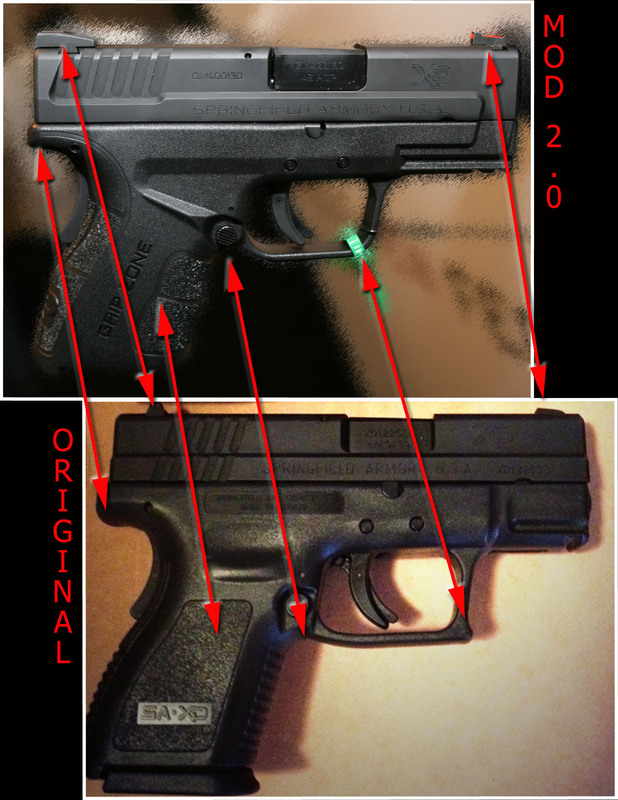 The last big change in the Mod 2, they have a 45 ACP offering this time. The original came in 9mm and 40 caliber only. The Mod 2 give the option of a 45 acp with a 3.3 inch barrel vs the standard 3 inch of the other calibers. So I have three Springfields in the house right now and I think I may need one more. Yes, I got to shoot the Mod 2 on the range and if you notice below I was hitting the center square in that steel target so I feel I can speak with some confidence about the comfort and control. The video should handle all that needs to be said about accuracy.